Fly fishing can be so leading edge! This is our new TRYST. Finest materials meet innovative shape. Exceptional in design and functionality. Tryst – an “Old English” word for get-together or rendezvous. We feel it is the right description. What comes together here is not naturally supposed to belong together. results in an exciting new concept. classic curves meet high tech-carbon. 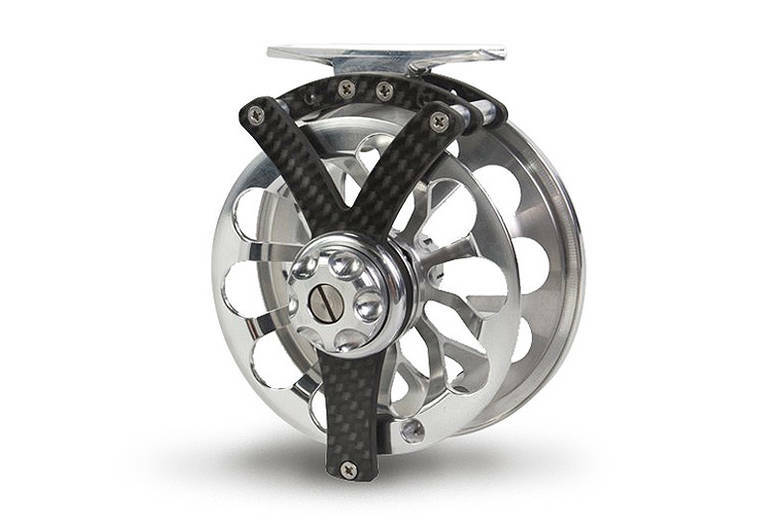 polished aluminum is paired with a totally symmetrical reel cage. TRYST is one fine fly fishing instrument. Possibly not for the faint of heart. but surely one of the most extraordinary fly reels. Thanks to its prize winning design, fishing from now on will be turning heads. So, what are you waiting for? Make a statement! Weight (approx) 112 gr. 119 gr. 129 gr.